Lars Lerup, the Swedish-American designer and writer, has published a new book. 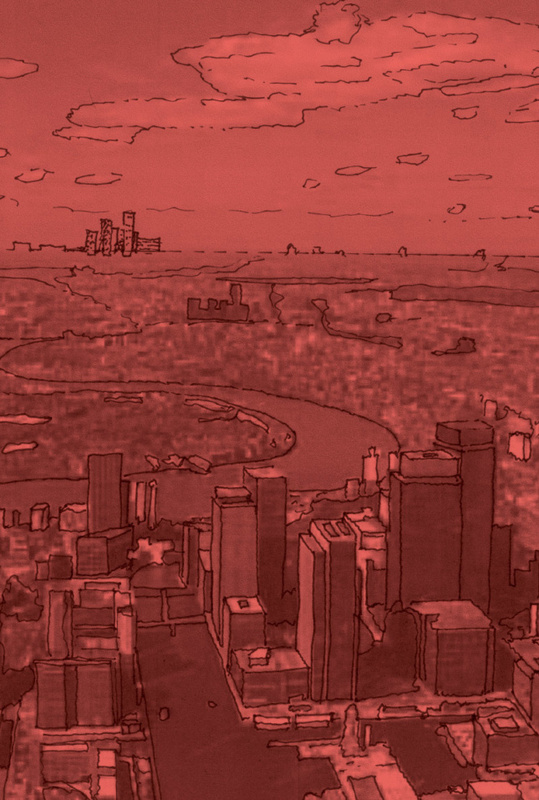 The Continuous City (Park Books, 2017) presents his latest thoughts on architecture, cities, and the people who inhabit them by way of 14 disparate but interconnected essays. 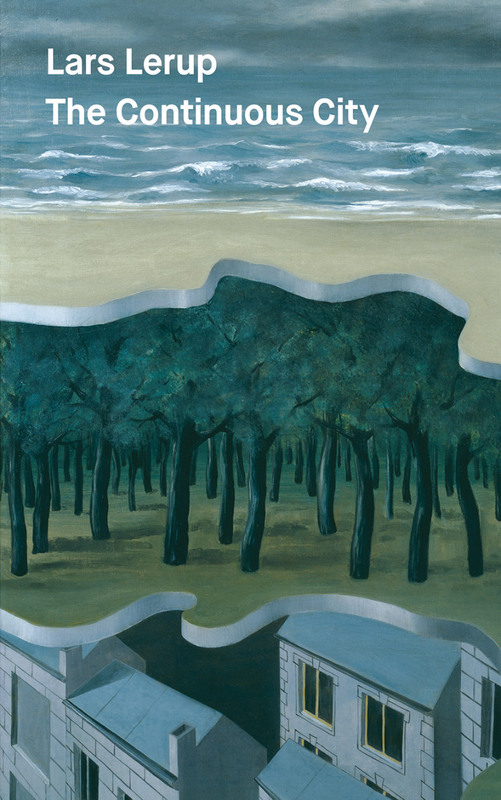 The handsome volume is bound in a matte cover featuring René Magritte’s painting Panorama Populaire (1926), which depicts buildings, a forest, and a seashore stacked atop each other, the ground plane of each upper level sawed away to reveal the strata beneath. The picture turns out to be a perfect signpost for what lies within, as its suggestion that these (and other) seemingly discrete realms are inextricably linked is precisely the crux of Lerup’s otherwise episodic inquiry. Lerup’s two previous titles—One Million Acres & No Zoning (Architectural Association Publications, 2011) and After the City (MIT Press, 2001)—took on the postindustrial car city as a subject of serious study. They look beyond the European-oriented urbanist’s dismissal of such environments as merely “sprawl” to find and examine the often-surreal juxtapositions embedded within that type of built fabric. Both books show Lerup’s fascination with Houston, where he first moved in 1993 from Berkeley, California, to take the job of dean at the Rice School of Architecture, a position he held until 2009. He is currently a professor there. Houston was to architecture in the 1980s what Dubai is to the field today—a petro-capital spending big money on ambitious development projects without paying much attention to the rules. Lerup’s championing of this subject matter in architectural academia (his has been one voice—there are others) has done much to save the discipline from self-inflicted obsolescence, an observation driven home by the fact that approximately 80 percent of currently existing global urban environments are designed and constructed around the automobile. His leadership also supported and propelled other academics who have done important work in this area, including Rice colleague Albert Pope, whose seminal volume, Ladders (Princeton Architectural Press, 1996), laid the groundwork for serious consideration of the postwar American city, and former Rice assistant professor Keith Krumwiede, whose latest book, Atlas of Another America: An Architectural Fiction (Park Books, 2016), explores speculative futures of suburbia. Another of Lerup’s preoccupations is subjectivity. In the 1970s, during a sabbatical from UC Berkeley, Peter Eisenman invited him to the Institute for Architecture and Urban Studies in New York (Rem Koolhaas was writing Delirious New York just down the hall). Lerup’s design work exhibits ties to that lineage of formal exploration and defamiliarization, but where Eisenman seeks to liberate architecture from the user, Lerup’s ambition has been to explore the problems of the urban inhabitant. For example, he did several years of research with the National Bureau of Standards in Washington, D.C., on how people in nursing homes panic and escape buildings that are on fire. The result was a series of publications compiled into Learning from Fire: A Fire Protection Primer for Architects, composed of a series of hand-drawn comic strips that depict nurses and patients reacting to infernos. Lerup’s hunt for constructive examples takes the reader on a journey that spans the globe and delves into the history of human settlement. He establishes links between the plan of Teotihuacán and OMA’s Seattle library, investigates the coexistence of natural and built environments in the work of Roberto Burle Marx, considers the synergies of Herzog & de Meuron’s Miami garage, and worries the uneasy relationship between users’ topological experience and the planner’s topographic approach. His findings are as revelatory as they are perturbing. If humankind is to survive the era of global warming (the Anthropocene’s most threatening result), there remains much more work to be done.